NEXT | What abilities should (or should not) be on the global cooldown? 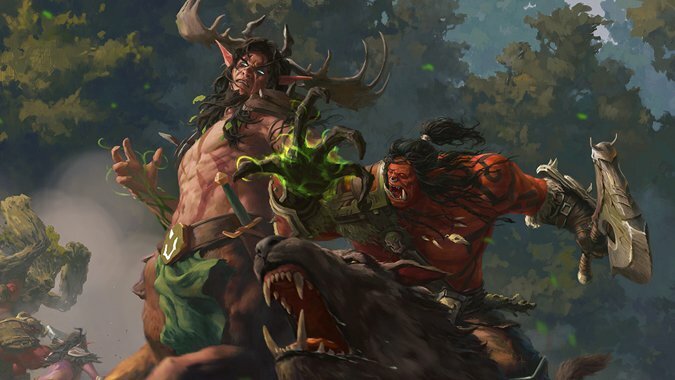 The third installment in the World of Warcraft: Chronicle series has arrived, and it’s a doozy. With this volume, the Chronicle series has finally caught up to “present day” – by which I mean World of Warcraft. As someone who has been playing the game since its launch, World of Warcraft Chronicle: Volume 3 is a pleasant reminder of just how much we’ve accomplished in the last thirteen years or so. For players who may have started in later expansions, it’s an excellent catch-up on everything you may have missed. This includes information taken from the Warcraft novels as well. If you’ve never read the books, you’ll get a summarized version of how they fit in here. Written by Chris Metzen, Matt Burns, and Robert Brooks, Chronicle: Volume 3 jumps in right where the second volume left off at the end of the Second War. Because this volume covers so much “current” material, there isn’t quite the glut of new information we saw in the prior two installments. This isn’t necessarily a bad thing – and there are some points where we get deeper glimpses into events that were previously glossed over. When originally considering the third volume of World of Warcraft: Chronicle, we weren’t sure just how far it was going to go. There’s a ton of events in Warcraft’s timeline from the opening of the Dark Portal onward. Using just the events of the Third War presents enough material to fill a volume. But Volume 3 swung drastically in the opposite direction of expected, covering everything from the Third War through the Cataclysm expansion. Needless to say, we’re dealing with a lot of material here. The advantage here is that most players are familiar with the majority of the information out there. If you played through Warcraft 3, you likely know the story of the Lich King. You know what happened to the World Tree in Hyjal during the Third War. If you’ve played World of Warcraft for any length of time, you’re familiar with the story there as well. Chronicle 3 dedicates three chapters to the events leading up to and including the Third War. 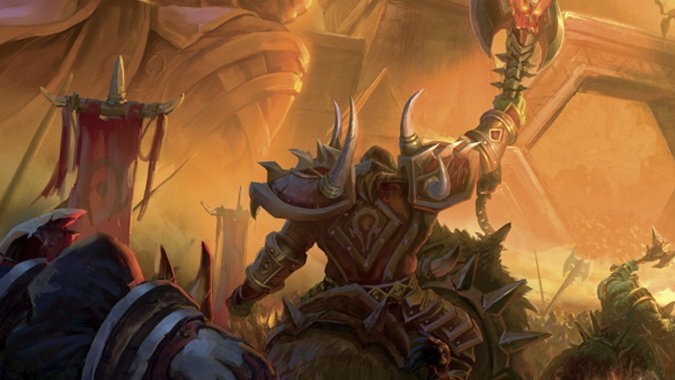 Each WoW expansion gets a chapter dedicated to it. It’s enough space to get the story across. What we aren’t seeing here is anything particularly new. There are moments that have been expanded on, like the Forsaken joining the Horde, or Kael’thas’s choice to ally with the Burning Legion in Burning Crusade. But if you were expecting any extended insights into lore that has already been reiterated several times over, you’re not going to find it here. On the one hand, that’s a little disappointing for players expecting lengthy summaries. On the other, it means the book doesn’t drag on at all. It’s a heavy volume, yes, but it’s not a struggle to slog through it. What we do get with Chronicle: Volume 3 is some clarification. By the time we hit chapter four, history is at a point where we as players have happily joined in. We’re part of that history, and Chronicle cleverly weaves us into the tale. Oh, it doesn’t mention us by name – with millions of players that would be an impossible task. But when the book is speaking of heroes and champions from the Horde and Alliance, it’s referring to us. And all those questions people have had over the years regarding who killed what have been answered. The book includes a look into some dungeons and raids. To my pleasant surprise, Chronicle clearly labels which faction defeated each enemy. In addition, we get a clearer picture of the stories behind the raids. One point I appreciated was that the book took a closer look at Moira Bronzebeard. Her story has been delivered in bits and pieces over the years. It’s nice to see it all collected in one place and coherently told. She’s not the only one, of course – but she’s just an example of what Chronicle: Volume 3 manages to beautifully pull off. In a word, clarity. As we’re playing through each expansion, it’s easy to lose track of what we’re doing, or why we’re doing it. Chronicle pieces each expansion together over the course of a single chapter, deftly filling in the blanks as needed. And it does so while making sure that our characters are included every step of the way. Yes, the big lore characters are all there – but I really appreciated the fact that thought was given to us players as well. The end result is a more inclusive encyclopedia, one where we as players are included in the annals of Warcraft history. This edition of Chronicle isn’t really about retcons – although there’s one example from Volume 2 that is completely confirmed in this edition. Volume 3 takes the approach of omission instead. Nothing is changed from a historical standpoint. However, some events from the novels and comics are glossed over, or simply not mentioned at all. It doesn’t mean they never happened, it just means they’re absent from this particular encyclopedia. On the one hand, the decision to leave some events open-ended or undefined is a pretty good choice here. It leaves room for future retcons, if those need to be made. On the other, it means that some characters are left looking a little odd in retrospect. We’re left in the dark in some cases, with no solid answer as to the “correct” perspective on particular characters. As this is a spoiler-free review, I’m not going to go into examples here. But I will go ahead and cover some examples in the next Know Your Lore, with all appropriate spoiler warnings. Of course, the thing about Chronicle is that it isn’t really about character perspective at all. It’s more of an encyclopedia than a novel. As an encyclopedia, it works remarkably well. This isn’t a deep dive into various characters and their motivations; it’s simply retelling events in history. If you’re looking for more of a fiction approach, the novels are all still out there and available for reading. If you just want to know more about Warcraft’s history from beginning to end, this is the book you’re after. 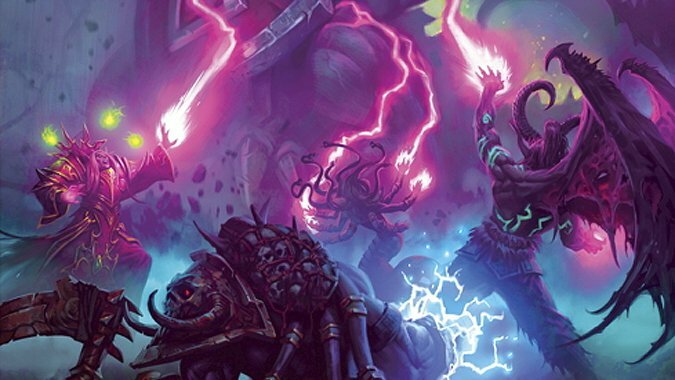 Here’s the odd part – World of Warcraft: Chronicle Volume 3 ends at the Cataclysm expansion. On Amazon, it says that this is volume 3 of 3, indicating it’s the final edition. Several media outlets have touted the book as “the final installment” of the series. At the same time, the book ends with a very indefinite “to be continued,” implying we’ll see more. Considering we still have the events of Mists, Warlords, and now Legion, it seems odd that they’d end the series here. Especially given how much story we were given in Mists. A fourth volume would be a great place to expand on what happened on Pandaria after it was whisked away. Not to mention factional rebellion, a siege on a capital city, assorted black dragon whelp antics, and a mysterious time-addled island that curiously pops in and out of existence at random intervals. And that’s just Mists. 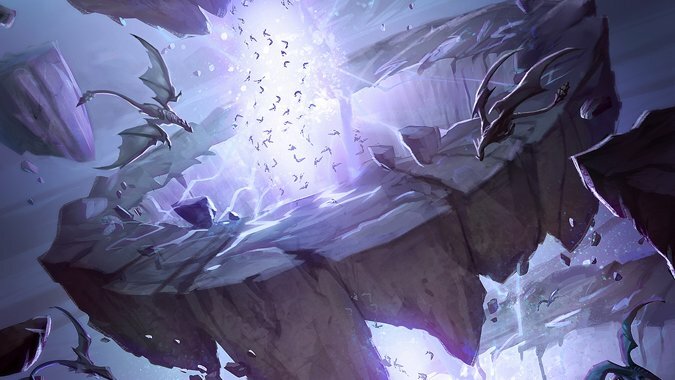 With a fourth volume, there’s also the possibility of expanding on the lore in Warlords of Draenor, and answering all those questions that never got an answer. 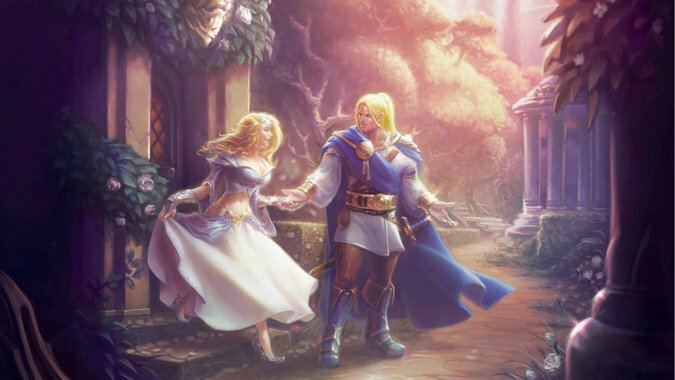 We could potentially learn where the heck Jaina Proudmoore and Wrathion wandered off to. The Legion expansion in and of itself delivers another large chunk of story that should, by all rights, be chronicled. Let’s cross our fingers and hope that comes to pass. Until then, Chronicle: Volume 3 is a must for lore fans, or anyone who’s looking for a more comprehensive retelling of WoW’s story. Moreso than either of the previous volumes, Chronicle: Volume 3 presents a complete, comprehensive journey that all players can relate to – because we’ve been here for it all along. You can pick up your copy of World of Warcraft: Chronicle Volume 3 on Amazon, available in both hardcover and ebook formats.